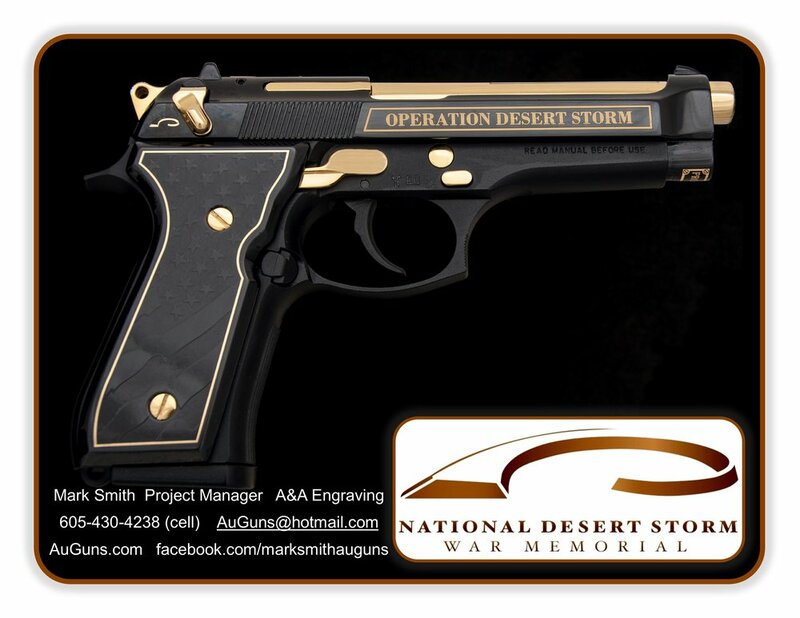 The National Desert Storm Memorial Association has partnered with A & A Engraving to design and create these limited-run commemorative pistols. 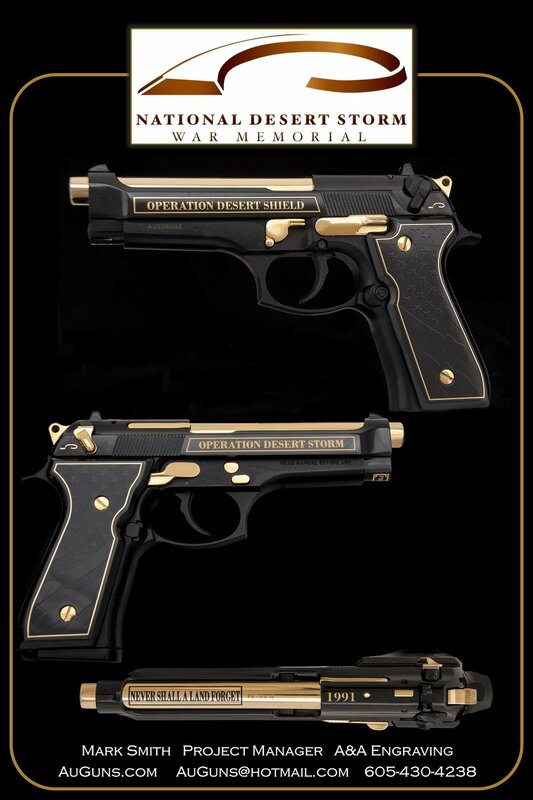 Only 100 numbered firearms are available for purchase. Please see this remarkable creation, pricing, and info below.